Cruise from picture-perfect Venice along the stunning Dalmatian coast and through the Corinth Canal to Athens. Enjoy a custom-designed, seven-night itinerary aboard the exclusively chartered, Five-Star, small ship Le Lyrial, featuring balconies in most of its ocean-view suites and staterooms. Visit five countries and six UNESCO World Heritage sites, exploring the influence of the Roman, Greek, Byzantine, Venetian and Slavic civilizations on this comprehensive program including ports inaccessible to larger vessels, such as Hvar, Korčula and the Bay of Kotor. In Croatia, tour Split’s Roman Diocletian’s Palace and Dubrovnik’s beautifully restored, 15th-century walled city; Kotor’s medieval fortifications and architecture in Montenegro; the remarkable archaeological site of Butrint, Albania; and, in Greece, Corfu’s Old Town, rooted in the eighth century B.C., and the sacred ancient Greek site of Delphi. Visit five countries and six UNESCO World Heritage sites, exploring the influence of the Roman, Greek, Byzantine, Venetian and Slavic civilizations. This comprehensive program includes stops in ports inaccessible to larger vessels, such as Hvar, Korčula and the Bay of Kotor. Excellent value for a Five-Star small ship—sells out! An extraordinary architectural masterpiece, from the marble Bridge of Sighs to the Byzantine opulence of St. Mark’s Basilica, the Italian city of Venice is one of the world’s premier cities for art and architecture. Tour the heart of this UNESCO World Heritage site, including the Gothic-style Doge’s Palace and the Gallerie dell’Accademia. Accommodations are for two nights in an ideally located hotel close to Piazza San Marco. Enjoy two nights in Athens, the birthplace of democracy and an ancient city unmatched in its contributions to the foundations of the Western world. Admire the beauty of Greece’s capital city and explore the glories of ancient Greece, including the magnificent Acropolis, a UNESCO World Heritage site. Accommodations for two nights are in a deluxe hotel. The exclusively chartered Le Lyrial, launched in 2015, represents the newest generation of Five-Star small ships, featuring only 110 Suites and Staterooms, distinctive French sophistication and complimentary Wi-Fi throughout the ship. Each air-conditioned deluxe Stateroom and Suite (200 to 592 square feet), features a private bathroom with shower, luxurious Five-Star hotel amenities and minibar with complimentary beverages; most have two twin beds that convert into one queen bed. Enjoy accommodation amenities including individual climate control, satellite flat-screen television, safe, full-length closet, writing desk/dressing table, plush robes and slippers. International and regional cuisine is served in the stylish, spacious Le Céleste dining room in single, unassigned seatings; alfresco in the casual Le Cométe Restaurant; or from 24-hour room service. Complimentary alcoholic and nonalcoholic beverages are available throughout the cruise. Continental and buffet breakfasts, buffet lunch, afternoon tea and a four-course dinner are served daily. Wine is served with lunch and dinner. In keeping with the low passenger density, the public areas are spacious and inviting, and they can accommodate all passengers comfortably. Enjoy views from the Panoramic Lounge; nightly entertainment in the Main Lounge; and lectures, cultural performances or film screenings in the state-of-the-art theater. The ship has a library, Internet suite, Sun Deck with open-air bar, swimming pool, beauty salon, spa, Turkish bath-style steam room, full range of fitness equipment, two elevators and an infirmary staffed with a doctor and a nurse. 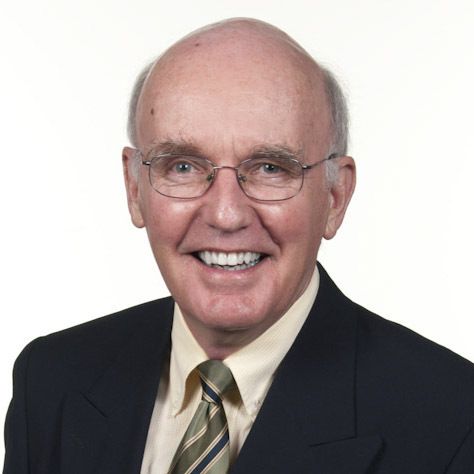 The highly trained and personable, English-speaking, international crew provides attentive service. The state-of-the-art propulsion system and custom-built stabilizers provide an exceptionally smooth, quiet and comfortable voyage. By design, the ship is energy efficient and environmentally protective of marine ecosystems and has been awarded the prestigious “Clean Ship” designation due to its advanced eco-friendly features, a rarity among ocean-cruising vessels. The ship has two tenders. 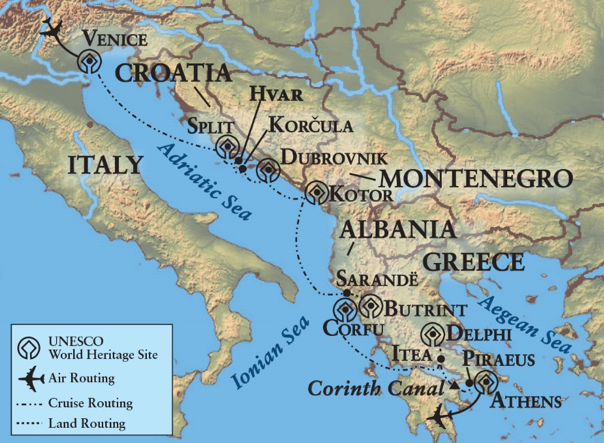 Seven-night cruise from Venice, Italy, to Athens, Greece, with port calls in Split, Hvar, the island of Korčula and Dubrovnik, Croatia; Kotor, Montenegro; Sarandë for Butrint, Albania; and the island of Corfu and Itea for Delphi, Greece. Tour of Split, featuring a visit to the thriving community living within Diocletian’s fourth-century palace, a UNESCO World Heritage site. Walking tour of Hvar’s Old Town including visits to the Benedictine Convent and St. Stephen’s Cathedral. 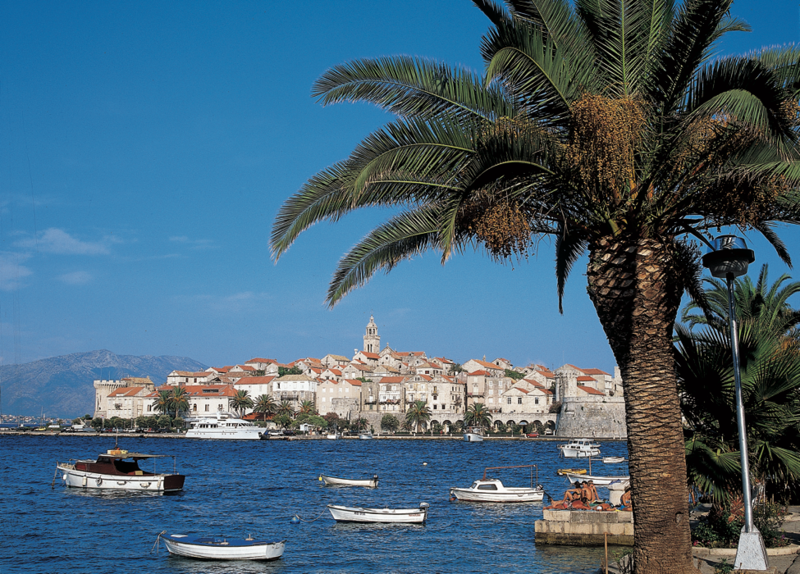 Tour the picturesque island of Korcˇula including a visit to the 17th-century Abbey Treasury. Walking tour of the walled city of Dubrovnik, a UNESCO World Heritage site, including visits to the Rector’s Palace and the Maritime Museum. Walking tour of medieval Kotor, a UNESCO World Heritage site. Tour of the Delphi Archaeological Museum. Visit to Split’s Meˇstrovi´c Gallery, home and atelier of Croatia’s renowned creative genius, Ivan Meˇstrovi´c. Specially arranged Coastal Life® Forum where local residents will discuss daily life along the Adriatic. Specially arranged, private, traditional Croatian a cappella klapa performance. 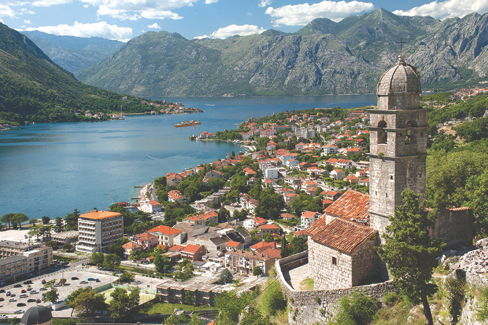 Time at leisure to explore the stunning UNESCO World Heritage sites of Kotor and Dubrovnik. Tour of the Greco-Roman ruins of Butrint, a UNESCO World Heritage site. Walking tour of Corfu’s UNESCO World Heritage-designated Old Town. 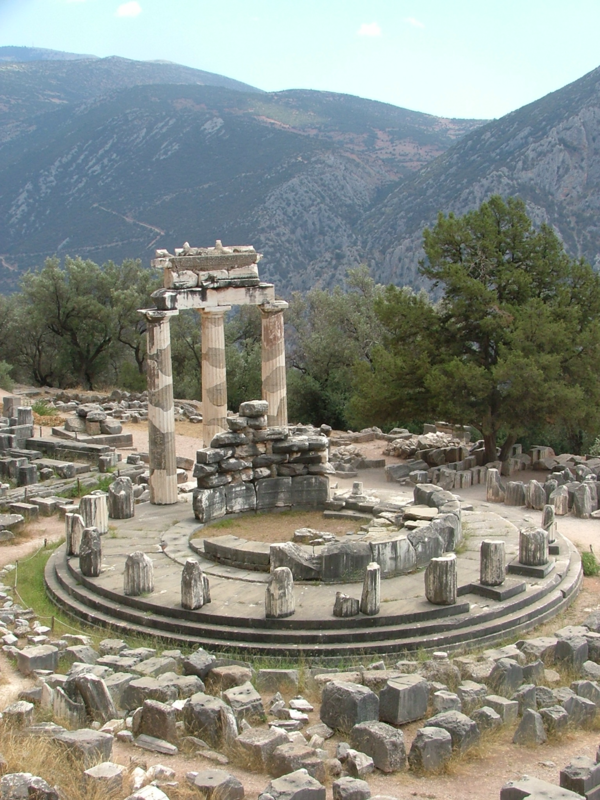 Excursion to Mount Parnassus to see the UNESCO World Heritage site of the glorious Oracle of Delphi and the iconic Temple of Apollo. Rare cruise through the historic Corinth Canal, the storied link between the Peloponnese and Greek mainland. Experienced, English-speaking local guides for included excursions.